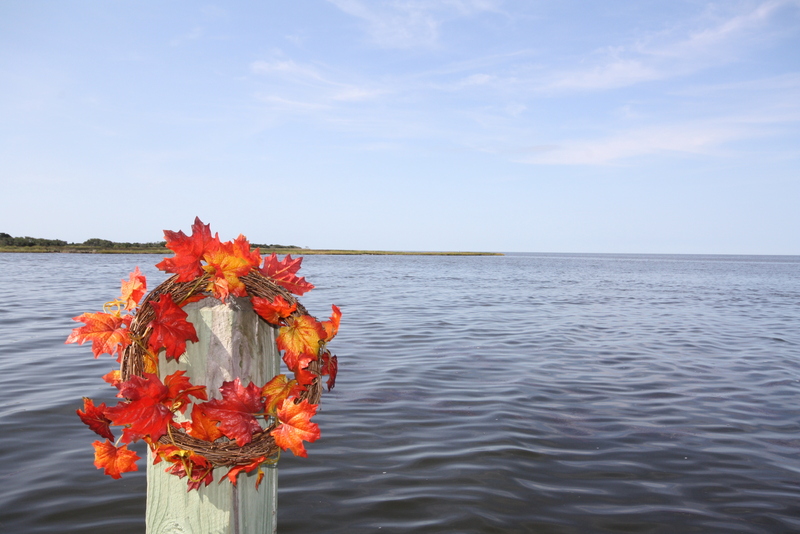 Enjoy a beautiful fall weekend on the Outer Banks during the 20th Annual Outer Banks Parade of Homes, October 4th-7th! Homeowners Prem and Amit Gupta, owners of Saga Construction and homeowners of two Surf or Sound Realty homes, #683 Rising Sun and #684 Moonshine will showcase four of their homes in this year’s Outer Banks Parade of Homes! Saga Construction will have real estate professionals on site to answer your questions, from building a home to furnishing it! Brought to you by the Outer Banks Home Builders Association, this year’s Parade of Homes features 21 amazing homes from Corolla to the Nags Head/Manteo causeway. Tour the homes from 10am to 6pm, Thursday through Saturday and from 10am-3pm on Sunday. Your $10 ticket can be purchased at any of the homes or at select ticket outlets and is valid for all four days of the event. For more information, visit the Outer Banks Home Builders Association website or give them a call at (252) 449-8232. 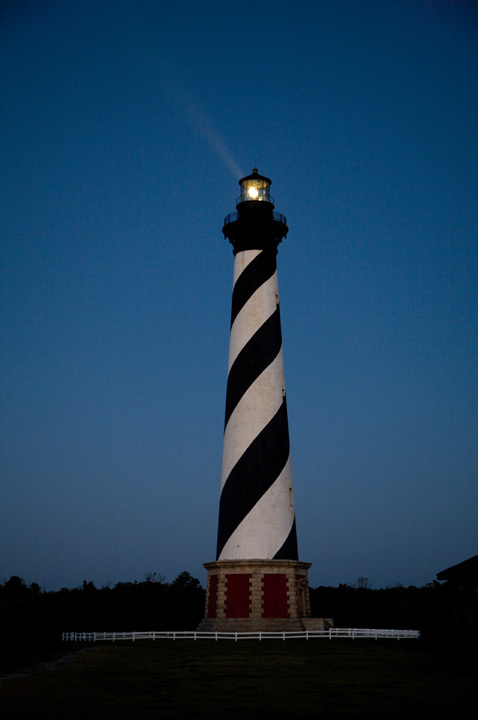 This Saturday, September 29th, full moon tours of the Cape Hatteras Lighthouse will be available! This is your chance to climb the 257-step staircase while park rangers provide interesting stories and tales of the lighthouse keeper’s duties. You will also be able to view the light up close and hear about how it operated in the past and how it works today. Weather permitting, you’ll have a bird’s eye view of the beam of light reaching out to sea and the reflection of the moon over the Atlantic. It’s truly a once in a lifetime experience! The National Park Service will be offering two tours that evening. There will be one at 7pm and another at 8pm. Each tour is limited to 30 people and tickets must be purchased in person, starting Thursday, September 17th at the lighthouse ticket booth between the hours of 8:15 and 4:40pm. Tickets are $7 for adults and $3.50 for children (11 and under), as well as seniors (62 and older). Be sure to get your tickets early! 1. Be sure to bring a handheld flashlight. There are no lights inside the lighthouse. 2. All participants are required to be 42 inches tall and must be able to climb the steps on their own. 3. Children 11 years of age and under must be accompanied by an adult (16 years of age or older). 4. For safety reasons, all participants must climb and descend with the group. 5. Keep in mind that the lighthouse can be challenge to climb…It’s tall, dark, and often hot and humid. There is just something about a cool, crisp September day that makes you long for all of the comforts of Fall…including a warm, satisfying bowl of chili. On Saturday, September 15th, you’ll have a chance to participate in the 15th Annual Chicamacomico Banks Fire and Rescue Chili Cook-off at the Cape Hatteras KOA in Rodanthe. Tantalize those taste buds with the best chili this side of the Oregon Inlet Bridge, starting at 2pm! Hamburgers, hot dogs, and homemade desserts will also be available. Enjoy an afternoon of good food, good music, and good fun, while supporting Chicamacomico Banks Fire and Rescue! On Friday evening, Sept. 14, there will be a cook’s meeting, registration, pig-pickin’, and live music by Mojo Collins from 4 until 8 p.m. If you’re interested in participating in the Chili Cook-off, contact Larry Grubbs @ (252) 996-0019.
this Friday night! 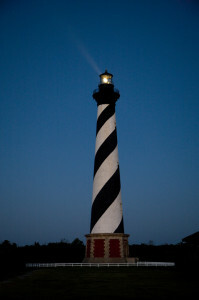 Purchase your tickets for the second Cape Hatteras Lighthouse Full Moon Tour of the month! Tickets should to be purchased in person at the lighthouse ticket booth in Buxton between 8:15am and 5:40pm. Tickets are $7 for adults and $3.50 for children. Be sure to bring your flashlight for the climb. Did you know that the month of August boasts two full moons? The first full moon (Full Sturgeon Moon) fell on the very first day of the month and the second full moon falls on this Friday, the very last day of the month. Friday’s full moon is known as the Full Red Moon, an Algonquin name. Many people know of the second full moon in a month as the Blue Moon, which only occurs approximately every 2.5 years or “once in a blue moon,” and therefore is not to be confused with August’s Full Red Moon. The blue moon obtained it’s name due to it’s blue tint when seen through atmospheric layers of smoke or volcanic dust. 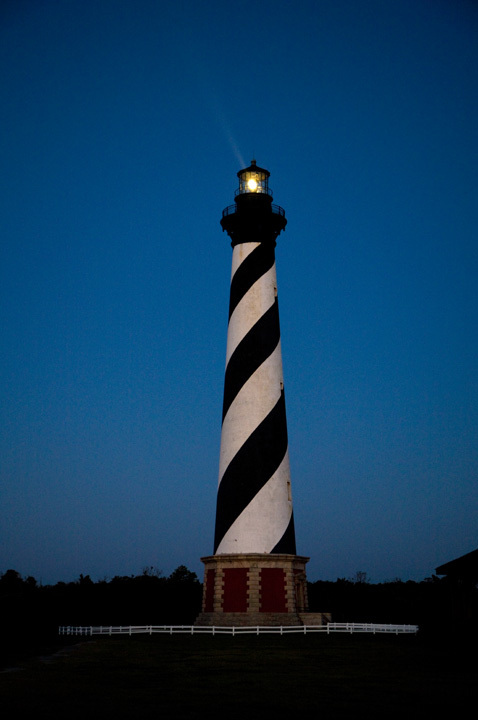 In case you didn’t catch the first full moon of the month, August is proud to bring you another, so be sure to bask it’s it glory (at the top of the Cape Hatteras Lighthouse)! Arts and Crafts Show, Indian Town Gallery, Frisco, 10am-5pm. Demo Daze, REAL Watersports, Waves. 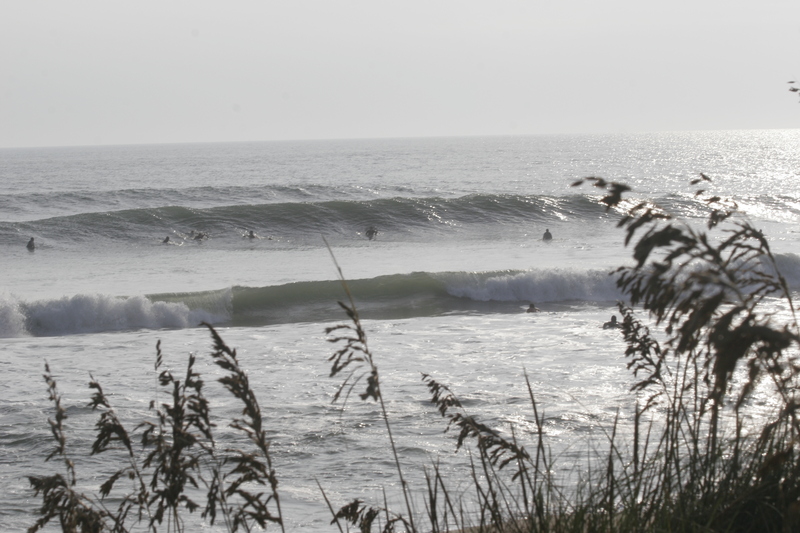 ~Venture over to REAL Watersports in Waves and try out new 2012 and 2013 gear for FREE! Pre registration is required. Visit their website for more info. 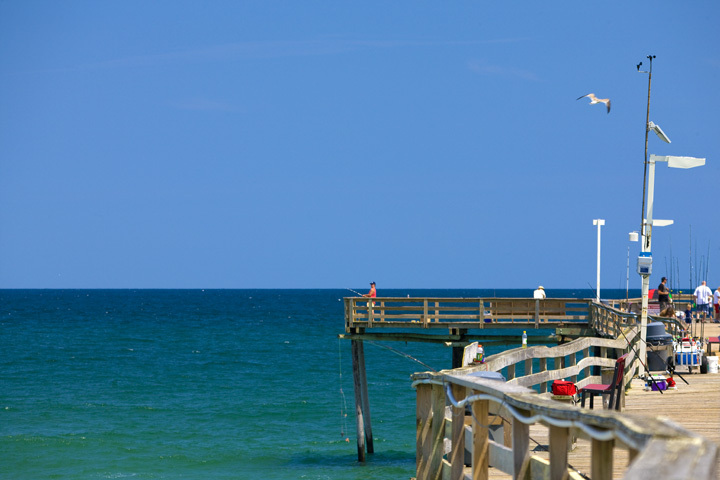 Hatteras Kite Week, through Monday, September 3. ~Hatteras Kite Week offers the public a chance to check out free kiteboarding gear clinics from the pros. For more info call 1-877-FLY-THIS. 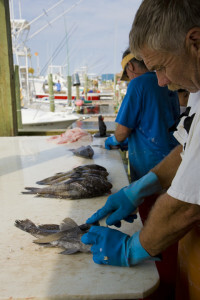 LAST Fish Fry of the Season, Hatteras Village and Avon Village, 5-7pm. Hurrah Players present FOOTLOOSE, PapaWack Theatre, Beach Klub, Avon. ~Stop by Spa Koru in Avon for tickets or purchase them at the door the night of the performance. Live music featuring Jones Potion, Mad Crabber Restaurant, Avon, 9pm. 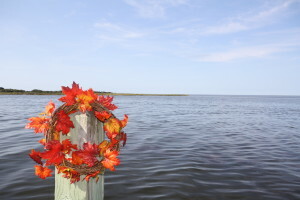 LAST Hatteras Island Farmer’s Market of the season, Avon, 9am-1pm. 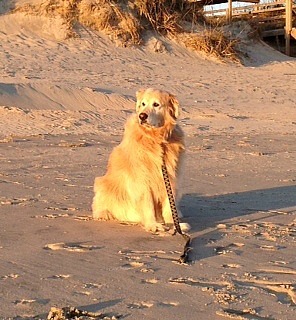 Oceanfront Hatha Yoga, Beach Klub, PapaWack Theatre, Avon, 8-9:30. 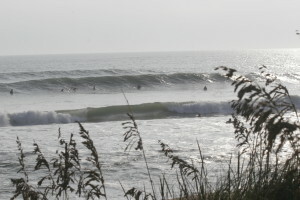 Hatteras Village Invitational Surf Fishing Tournament, September 6-8. Open Mic, Saltwater Cafe, Stowe on Twelve, Hatteras, 8-11pm. The time is near to perfect your Hatteras Clam Chowder recipe! The 6th Annual Chowder Cook-Off will take place on Saturday, September 15 during the Day at the Docks festivities in Hatteras. Everyone is invited to enter! The registration fee is a $50 tax deductible donation to the local watermen’s association and the Hatteras Island Cancer Foundation. What exactly is Hatteras Clam Chowder, you might ask? Well, it’s simple and delicious. There is no other soup that says “HatterasIsland” like Hatteras Clam Chowder. 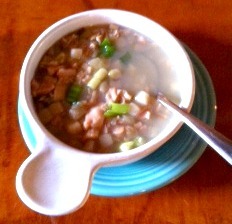 “True” Hatteras Clam Chowder is composed of just a few fresh ingredients…clams, potatoes, onion, and bacon. Try your hand at Hatteras Clam Chowder and be the next registrant in the Chowder Cook-off! Chop clams, drain the juice, and save it. In a large pot, add water, clam juice, potatoes, onions and grease. Bring to a boil until potatoes are tender. Add chopped clams and simmer for about 20 minutes. Add salt and pepper to taste. Serves about 6. If you don’t have fresh shucked clams handy, canned clams and juice (about 2 cans) can be substituted in a pinch. **If you’d like to reinvent your own version of Hatteras Clam Chowder, a few popular additions are parsley, green onion, celery and carrots. If time is not on your side, and you can’t seem to get this dynamic and delicious chowder off of your mind, visit one of our local restaurants for a taste. Be sure to head down to Day at the Docks on September 15th, to serve your version of Hatteras Clam Chowder or be the judge of many fabulous takes on the original! Hatteras Kite Week, Tues.-Mon., Sept. 3. LIVE music, Ketch 55, Avon 9pm. Full Moon Tour of the Cape Hatteras Lighthouse, Buxton. ~Tickets are $7 for adults and $3.50 for children and can be purchased in-person, starting August 29th at the lighthouse ticket booth from 8:15am to 5:40pm. Be sure to bring your flashlight!